Product #18070 | SKU LP36414 | 0.0 (no ratings yet) Thanks for your rating! 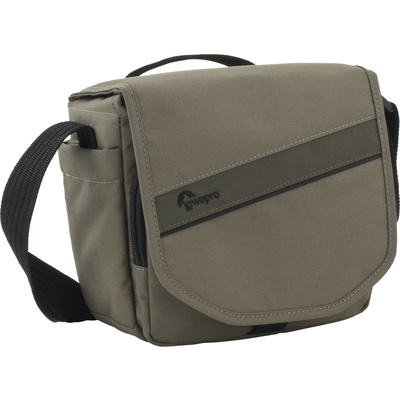 The mica Lowepro Event Messenger 100 Shoulder Bag is a lightweight yet durable messenger-style bag that holds a DSLR or mirrorless system camera and accessories. It can hold a DSLR with an attached 18-55 lens and 1-2 extra lenses, or a flash with one lens, accessories. It can also hold a mirrorless camera with an attached lens and 2-3 extra lenses, or a flash and two lenses, and accessories. The bag has an easily accessible main compartment, adjustable dividers, a front flap, as well as an additional zippered closure for the main compartment. The interior is customisable using adjustable touch fastened dividers.